A pair of wood pigeons perched in the blackthorn this morning, took flight just before I could produce a camera. 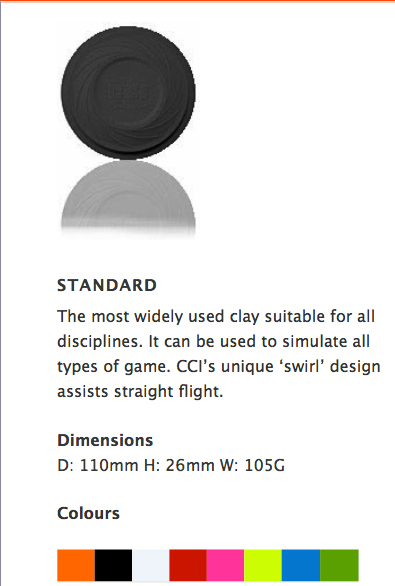 The clay pigeon made by CCI International sometime after 1982 (and still in production today) was more obliging. 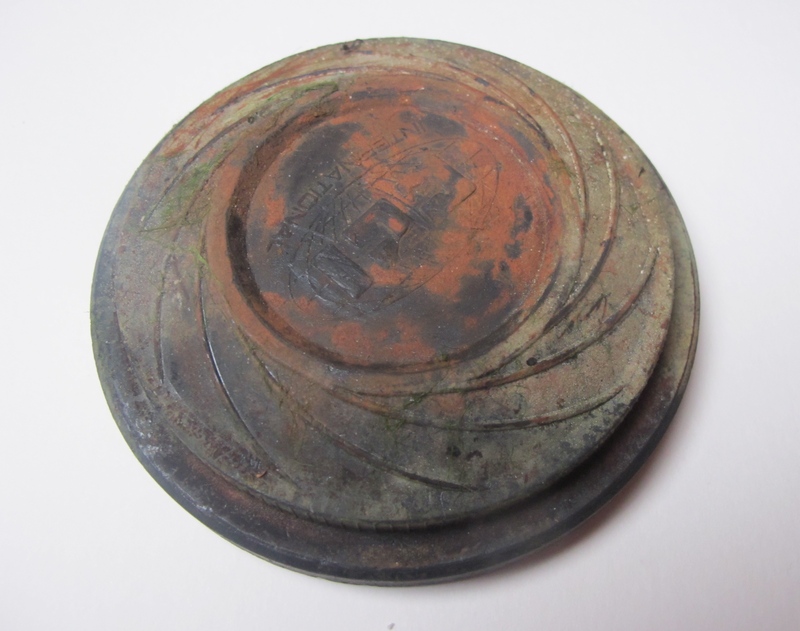 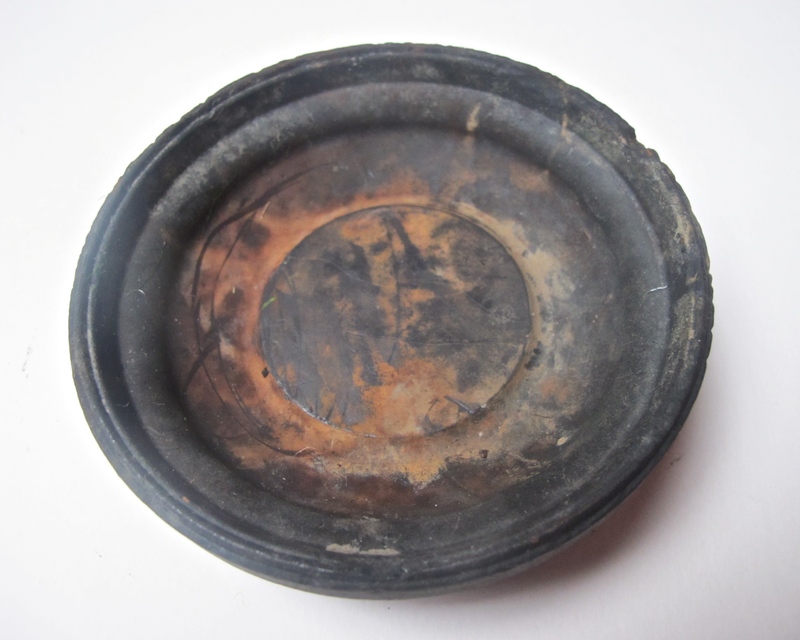 Found in river mud beside the Egg, it had something of the appearance of a Romano British dish, until washing revealed its true more prosaic identity.